Alright, I have in the past few days discussed how I was insatiably excited for Google’s new Chrome web browser. Today all I have to say is that it is no better than Firefox. We all know Google made Chrome using open source code including Mozilla’s, and we all know that Google Chrome supposedly is a step closer towards a Web OS. However after using it for a day I have encountered quite a few problems and have missed any major improvements in speed or usability. Chrome also has instances of freezing or displaying a web page wrongly (such as the upper right hand corner of my blog); Firefox has no such scruples. 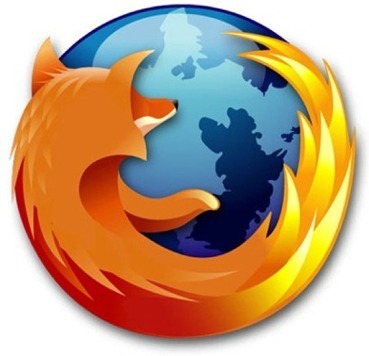 I still am a fan of Mozilla, a basically non for profit organization who makes all of their money for allowing Google to be the default search (approximately 80 percent of their income). Mozilla will still draw more devout GNU support based on it’s opus understanding of the value of free software and countering inefficiencies found in other web browsers. There are just two more hours until the much anticipated web browser “Chrome” by Google is released. Be sure to download it and comment here about your experience. Google To Release New Web Browser Tomorrow!!! Google will begin distributing its own browser in a move likely to heat up its rivalry with Microsoft. The Internet search leader confirmed the long-rumored browser in a Monday posting on its Web site. Google said the free browser, called “Chrome,” will be available for downloading Tuesday. The browser represents Google Inc.’s latest challenge to Microsoft, whose Internet Explorer is used by half of Web surfers. Google has been concerned that Microsoft will try to program Internet Explorer in a way that makes it more difficult for Google’s search engine to attract traffic. Google is taking some features from Firefox, such as the tabs, and adding its own spin, placing them above the address bar rather than below it. The address bar will have an auto-complete feature, much like that of Firefox. The Chrome browser home page will offer a speed-dial feature, similar to the one seen on Opera’s desktop browser. Chrome will have a “privacy” mode. Surfing with the privacy setting enabled will create a new browsing window and allow you to browse with no history of what occurs in that window being stored on the computer. In other words, you can browse sites and no one will be able to track down where you’ve been on that machines. I am anxiously awaiting this new browser and expect only the best from Google.